Sonus faber has announced the launch of its Electra Amator III Loudspeaker. The new special edition serves as the successor to the previously released Electa Amator (1987) and Electa Amator II (1997). The Electra Amator III is a 2-way bookshelf loudspeaker marked by the company's trademark premium design with a solid walnut wood body, Carrara marble base, and a brass insert to enhance the cabinet. A 28mm tweeter and a 6.5-inch mid-woofer are integrated as well. 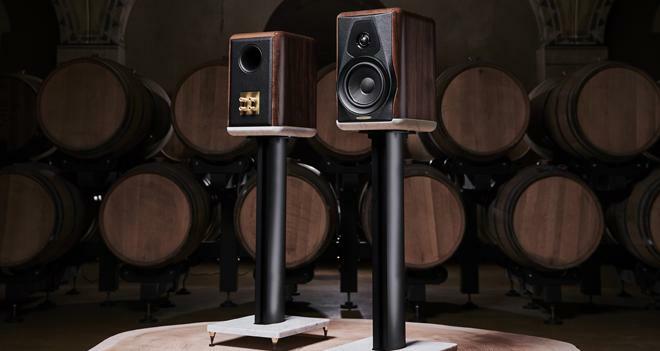 The Sonus faber Electra Amator III Loudspeaker will be available this November in Europe and this December in North America and Asia for $10,000 per pair. In addition, the company is currently celebrating its 35th anniversary at the Rocky Mountain International Audio Fest from October 5 through October 7 at the Denver Marriott Tech Center.